Copyright (c) 2004, Pedro Reina. 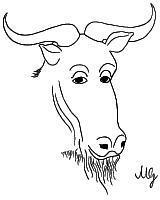 Permission is granted to copy, distribute and/or modify this document under the terms of the GNU Free Documentation License, Version 1.1 or any later version published by the Free Software Foundation; with no Invariant Sections, with no Front-Cover Texts, and with no Back-Cover Texts. A copy of the license is included in the section entitled "GNU Free Documentation License". Copyright (C) 2000  Free Software Foundation, Inc. The purpose of this License is to make a manual, textbook, or other written document "free" in the sense of freedom: to assure everyone the effective freedom to copy and redistribute it, with or without modifying it, either commercially or noncommercially. Secondarily, this License preserves for the author and publisher a way to get credit for their work, while not being considered responsible for modifications made by others. This License applies to any manual or other work that contains a notice placed by the copyright holder saying it can be distributed under the terms of this License. The "Document", below, refers to any such manual or work. Any member of the public is a licensee, and is addressed as "you". A "Secondary Section" is a named appendix or a front-matter section of the Document that deals exclusively with the relationship of the publishers or authors of the Document to the Document's overall subject (or to related matters) and contains nothing that could fall directly within that overall subject. (For example, if the Document is in part a textbook of mathematics, a Secondary Section may not explain any mathematics.) The relationship could be a matter of historical connection with the subject or with related matters, or of legal, commercial, philosophical, ethical or political position regarding them. The "Invariant Sections" are certain Secondary Sections whose titles are designated, as being those of Invariant Sections, in the notice that says that the Document is released under this License. The "Cover Texts" are certain short passages of text that are listed, as Front-Cover Texts or Back-Cover Texts, in the notice that says that the Document is released under this License. A "Transparent" copy of the Document means a machine-readable copy, represented in a format whose specification is available to the general public, whose contents can be viewed and edited directly and straightforwardly with generic text editors or (for images composed of pixels) generic paint programs or (for drawings) some widely available drawing editor, and that is suitable for input to text formatters or for automatic translation to a variety of formats suitable for input to text formatters. A copy made in an otherwise Transparent file format whose markup has been designed to thwart or discourage subsequent modification by readers is not Transparent. A copy that is not "Transparent" is called "Opaque". Examples of suitable formats for Transparent copies include plain ASCII without markup, Texinfo input format, LaTeX input format, SGML or XML using a publicly available DTD, and standard-conforming simple HTML designed for human modification. Opaque formats include PostScript, PDF, proprietary formats that can be read and edited only by proprietary word processors, SGML or XML for which the DTD and/or processing tools are not generally available, and the machine-generated HTML produced by some word processors for output purposes only. If you publish printed copies of the Document numbering more than 100, and the Document's license notice requires Cover Texts, you must enclose the copies in covers that carry, clearly and legibly, all these Cover Texts: Front-Cover Texts on the front cover, and Back-Cover Texts on the back cover. Both covers must also clearly and legibly identify you as the publisher of these copies. The front cover must present the full title with all words of the title equally prominent and visible. You may add other material on the covers in addition. Copying with changes limited to the covers, as long as they preserve the title of the Document and satisfy these conditions, can be treated as verbatim copying in other respects. If you publish or distribute Opaque copies of the Document numbering more than 100, you must either include a machine-readable Transparent copy along with each Opaque copy, or state in or with each Opaque copy a publicly-accessible computer-network location containing a complete Transparent copy of the Document, free of added material, which the general network-using public has access to download anonymously at no charge using public-standard network protocols. If you use the latter option, you must take reasonably prudent steps, when you begin distribution of Opaque copies in quantity, to ensure that this Transparent copy will remain thus accessible at the stated location until at least one year after the last time you distribute an Opaque copy (directly or through your agents or retailers) of that edition to the public. B. List on the Title Page, as authors, one or more persons or entities responsible for authorship of the modifications in the Modified Version, together with at least five of the principal authors of the Document (all of its principal authors, if it has less than five). I. Preserve the section entitled "History", and its title, and add to it an item stating at least the title, year, new authors, and publisher of the Modified Version as given on the Title Page. If there is no section entitled "History" in the Document, create one stating the title, year, authors, and publisher of the Document as given on its Title Page, then add an item describing the Modified Version as stated in the previous sentence. K. In any section entitled "Acknowledgements" or "Dedications", preserve the section's title, and preserve in the section all the substance and tone of each of the contributor acknowledgements and/or dedications given therein. N. Do not retitle any existing section as "Endorsements" or to conflict in title with any Invariant Section. You may combine the Document with other documents released under this License, under the terms defined in section 4 above for modified versions, provided that you include in the combination all of the Invariant Sections of all of the original documents, unmodified, and list them all as Invariant Sections of your combined work in its license notice. A compilation of the Document or its derivatives with other separate and independent documents or works, in or on a volume of a storage or distribution medium, does not as a whole count as a Modified Version of the Document, provided no compilation copyright is claimed for the compilation. Such a compilation is called an "aggregate", and this License does not apply to the other self-contained works thus compiled with the Document, on account of their being thus compiled, if they are not themselves derivative works of the Document. If the Cover Text requirement of section 3 is applicable to these copies of the Document, then if the Document is less than one quarter of the entire aggregate, the Document's Cover Texts may be placed on covers that surround only the Document within the aggregate. Otherwise they must appear on covers around the whole aggregate. Translation is considered a kind of modification, so you may distribute translations of the Document under the terms of section 4. Replacing Invariant Sections with translations requires special permission from their copyright holders, but you may include translations of some or all Invariant Sections in addition to the original versions of these Invariant Sections. You may include a translation of this License provided that you also include the original English version of this License. In case of a disagreement between the translation and the original English version of this License, the original English version will prevail. Esta es una traducción no oficial de la GNU Free Document License (GFDL), versión 1.1 (de Marzo de 2000), que cubre manuales y documentación. Esta traducción no tiene ningún valor legal, ni ha sido comprobada de acuerdo a la legislación de ningún país en particular. Se incluye sólo con propósitos educativos. Para efectos legales por favor remítase al original en inglés. Esta traducción fue realizada en Mayo de 2000 por Igor Támara ikks@bigfoot.com y Pablo Reyes reyes_pablo@hotmail.com. Fue revisada en Enero de 2001 por Vladimir Támara vtamara@gnu.org. Copyright (C) 2000 Free Software Foundation, Inc.
de este documento de licencia, pero no se permiten cambios. El propósito de esta licencia es hacer que un manual, libro de texto, u otro documento escrito sea libre en el sentido de libertad: para asegurar a todo el mundo la libertad efectiva de copiarlo y redistribuirlo, con o sin modificaciones, bien de manera comercial o no comercial. En segundo término, esta licencia preserva para el autor o para quien publica una manera de obtener reconocimiento por su trabajo, al tiempo que no es considerado responsable de las modificaciones realizadas por terceros. Esta licencia es una especie de "copyleft" que significa que los trabajos derivados del documento deben a su vez ser libres en el mismo sentido. Esta licencia complementa la Licencia Pública General GNU, que es una licencia de copyleft diseñada para el software libre. Hemos diseñado esta Licencia para usarla en manuales de software libre, ya que el software libre necesita documentación libre: un programa libre debe venir con los manuales que ofrezcan la mismas libertades que da el software. Pero esta licencia no se limita a manuales de software; puede ser usada para cualquier trabajo textual, sin tener en cuenta su temática o si se publica como libro impreso. Recomendamos esta licencia principalmente para trabajos cuyo propósito sea instructivo o de referencia. Esta Licencia se aplica a cualquier manual u otro trabajo que contenga una nota del propietario de los derechos de reproducción que indique que puede ser distribuido bajo los términos de esta Licencia. El "Documento", en adelante, se refiere a cualquiera de dichos manuales o trabajos. Cualquier miembro del público es un licenciatario, y será denominado como "Usted". Una "Versión Modificada" del Documento designa cualquier trabajo que contenga el Documento o una porción del mismo, ya sea una copia literal o con modificaciones y/o traducciones a otro idioma. Una "Sección Secundaria" es un apéndice titulado o una sección preliminar al prólogo del Documento que tiene que ver exclusivamente con la relación de quien publica o los autores del Documento con el tema general del Documento (o asuntos relacionados) y cuyo contenido no entra directamente en tal tema general. (Por ejemplo, si el Documento es en parte un texto de matemáticas, una Sección Secundaria puede no explicar matemáticas.) La relación puede ser un asunto de conexión histórica, o de posición legal, comercial, filosófica, ética o política con el tema o con materias relacionadas. Una copia "Transparente" del Documento significa una copia para lectura en máquina, representada en un formato cuya especificación está disponible al público general, cuyos contenidos pueden ser vistos y editados directamente con editores de texto genéricos o (para imágenes compuestas por pixeles) con programas genéricos para gráficas o (para dibujos) algún editor de dibujos ampliamente disponible, y que sea adecuado para exportar a formateadores de texto o para traducción automática a una variedad de formatos adecuados para ingresar a formateadores de texto. Una copia hecha en un formato que de otra forma sería Transparente pero cuyo formato ha sido diseñado para impedir o dificultar subsecuentes modificaciones por parte de los lectores no es Transparente. Una copia que no es "Transparente" es llamada "Opaca". Los ejemplos de formatos adecuados para copias Transparentes incluyen ASCII plano sin formato, formato de Texinfo, formato de LaTeX, SGML o XML que usen un DTD disponible ampliamente, y HTML simple que siga los estándares y esté diseñado para modificaciones humanas. Los formatos Opacos incluyen PostScript, PDF, formatos propietarios que pueden ser leídos y editados unicamente con procesadores de palabras propietarios, SGML o XML para los cuáles los DTD y/o herramientas de procesamiento no están disponibles generalmente, y el HTML generado en una máquina, producido por algún procesador de palabras solo con propósitos de presentación. La "Portada" significa, para un libro impreso, la portada misma más las páginas siguientes necesarias para mantener, legiblemente, el material que esta Licencia requiere que aparezca en la portada. Para trabajos en formatos que no tienen Portada como tal, "Portada" significa el texto cerca a la aparición más prominente del título del trabajo, precediendo el comienzo del cuerpo del texto. Usted puede copiar y distribuir el Documento en cualquier medio, sea en forma comercial o no comercial, siempre y cuando esta Licencia, las notas de derecho de autor, y la nota de licencia que indica que esta Licencia se aplica al Documento se reproduzcan en todas las copias, y que usted no adicione ninguna otra condición sobre las expuestas en en esta Licencia. No puede usar medidas técnicas para obstruir o controlar la lectura o copia posterior de las copias que usted haga o distribuya. Sin embargo, usted puede aceptar compensación a cambio de las copias. Si distribuye un número suficientemente grande de copias también deberá seguir las condiciones de la sección 3. Usted también puede prestar copias, bajo las mismas condiciones establecidas anteriormente, y puede exhibir copias públicamente. Si publica copias impresas del Documento que sobrepasen las 100, y la nota de Licencia del Documento exige Textos de Cubierta, debe incluir las copias con cubiertas que lleven en forma clara y legible, todos esos textos de Cubierta: Textos de Portada en la portada, y Textos de Contra Portada en la contra portada. Ambas cubiertas deben identificarlo a usted clara y legiblemente como quien publica tales copias. La portada debe presentar el título completo con todas las palabras del título igualmente prominentes y visibles. Usted puede adicionar otro material en las cubiertas. Las copias con cambios limitados a las cubiertas, siempre que preserven el título del Documento y satisfagan estas condiciones, puede considerarse como copia literal. Si los textos requeridos para la cubierta son muy voluminosos para que ajusten legiblemente, debe colocar los primeros listados (tantos como sea razonable colocar) en la cubierta real, y continuar con el resto en páginas adyacentes. Si publica o distribuye copias Opacas del Documento cuya cantidad exceda las 100, debe incluir una copia Transparente que pueda ser leída por una máquina con cada copia Opaca, o indicar en o con cada copia Opaca una dirección en una red de computadores publicamente accesible que contenga una copia completa y Transparente del Documento, libre de material adicional, a la cual el público general de la red tenga acceso para bajar anónimamente sin cargo, usando protocolos de redes públicos y estándares. Si usted hace uso de la última opción, deberá tomar medidas razonablemente prudentes, cuando comience la distribución de las copias Opacas en cantidad, para asegurar que esta copia Transparente permanecerá accesible en el sitio indicado por lo menos un año después de su última distribución al público de copias Opacas de esa edición (directamente o a través de sus agentes o distribuidores). Se solicita, aunque no es requisito, que contacte a los autores del Documento antes de redistribuir cualquier gran número de copias, para permitirle la oportunidad de que le provean una versión actualizada del Documento. Uso en la Portada (y en las cubiertas, si hay alguna) de un título distinto al del Documento, y de versiones anteriores (que deberían, si hay alguna, estar listados en la sección de Historia del Documento). Puede usar el mismo título que versiones anteriores del original siempre que quién publicó la primera versión lo permita. Listar en la Portada, como autores, una o más personas o entidades responsables por la autoría o las modificaciones en la Versión Modificada, junto con por lo menos cinco de los autores principales del Documento (Todos sus autores principales, si hay menos de cinco). Establecer en la Portada del nombre de quién publica la Versión Modificada, como quien publica. Preservar todas las notas de derechos de reproducción del Documento. Adyacente a las otras notas de derecho de reproducción, adicionar una nota de derecho de reproducción de acuerdo a sus modificaciones. Incluir, immediatamente después de la nota de derecho de reproducción, una nota de licencia dando el permiso público para usar la Versión Modificada bajo los términos de esta Licencia, de la forma mostrada más adelante en el Addendum. Preservar en esa nota de licencia el listado completo de Secciones Invariantes y de los Textos de las Cubiertas que sean requeridos como se especifique en la nota de Licencia del Documento. Incluir una copia sin modificación de esta Licencia. Preservar la sección con título "Historia", y su título, y adicionar a esta una sección estableciendo al menos el título, el año,los nuevos autores, y quién publicó la Versión Modificada como reza en la Portada. Si no hay una sección titulada "Historia" en el Documento, crear una estableciendo el título, el año, los autores y quien publicó el Documento como reza en la Portada, añadiendo además un artículo describiendo la Versión Modificada como se estableció en la oración anterior. Preservar la localización en red, si hay , dada en el Documento para acceso público a una copia Transparente del Documento, así como las otras direcciones de red dadas en el Documento para versiones anteriores en las cuáles estuviese basado. Estas pueden ubicarse en la sección "Historia". Se puede omitir la ubicación en red para un trabajo publicado por lo menos 4 años antes que el Documento mismo, o si quien publicó originalmente la versión a la que se refiere da permiso. En cualquier sección titulada "Agradecimientos" o "Dedicatorias", preservar el título de la sección, y preservar en la sección toda la sustancia y el tono de los agradecimientos y/o dedicatorias de cada contribuyente que estén incluídas. Preservar todas las Secciones Invariantes del Documento, sin alterar su texto ni sus títulos. Números de sección o el equivalente no son considerados parte de los títulos de la sección. Borrar cualquier sección titulada "Aprobaciones". Una tal sección no pueden estar incluida en las Versiones Modificadas. No retitular ninguna sección existente como "Aprobaciones" o conflictuar con título de alguna Sección Invariante. Puede adicionar una sección titulada "Aprobaciones", siempre que contenga unicamente aprobaciones de su Versión Modificada por varias fuentes--por ejemplo, observaciones de peritos o que el texto ha sido aprobado por una organización como un estándar. Puede adicionar un pasaje de hasta cinco palabras como un Texto de Portada, y un pasaje de hasta 25 palabras como un texto de Contra Portada, al final de la lista de Textos de Cubierta en la Versión Modificada. Solamente un pasaje de Texto de Portada y un Texto de Contra Portada puede ser adicionado por (o a manera de arreglos hechos por) cualquier entidad. Si el Documento ya incluye un texto de cubierta para la misma cubierta, previamente adicionado por usted o por arreglo hecho por la misma entidad, a nombre de la cual usted actua, no puede adicionar otra; pero puede reemplazar el anterior, con permiso explícito de quien previamente publicó y agregó tal texto. Puede combinar el Documento con otros documentos liberados bajo esta Licencia, bajo los términos definidos en la sección 4 anterior para versiones modificadas, siempre que incluya en la combinación todas las Secciones Invariantes de todos los documentos originales, sin modificar, y las liste como Secciones Invariantes de su trabajo combinado en la respectiva nota de licencia. El trabajo combinado necesita contener solamente una copia de esta Licencia, y múltiples Secciones Invariantes idénticas pueden ser reemplazadas por una sola copia. Si hay múltiples Secciones Invariantes con el mismo nombre pero con contenidos diferentes, haga el título de cada una de estas secciones único adicionándole al final de este, entre paréntesis, el nombre del autor o de quien publicó originalmente esa sección, si es conocido, o si no, un número único. Haga el mismo ajuste a los títulos de sección en la lista de Secciones Invariantes en la nota de licencia del trabajo combinado. Usted puede hacer una colección que consista del Documento y otros documentos liberados bajo esta Licencia, y reemplazar las copias individuales de esta Licencia en los varios documentos con una sola copia que esté incluida en la colección, siempre que siga las reglas de esta Licencia para una copia literal de cada uno de los documentos en cualquiera de todos los aspectos. Usted puede extraer un solo documento de una de tales colecciones, y distribuirlo individualmente bajo esta Licencia, siempre que inserte una copia de esta Licencia en el documento extraido, y siga esta Licencia en todos los otros aspectos concernientes a la copia literal de tal documento. Una recopilación del Documento o de sus derivados con otros documentos o trabajos separados e independientes, en cualquier tipo de distribución o medio de almacenamiento, no cuenta como un todo como una Versión Modificada del Documento, siempre que no se clamen derechos de reproducción por la compilación. Tal recopilación es llamada un "agregado", y esta Licencia no aplica a los otros trabajos auto-contenidos y por lo tanto compilados con el Documento, o a cuenta de haber sido compilados, si no son ellos mismos trabajos derivados del Documento. La traducción es considerada como una clase de modificación, así que puede distribuir traducciones del Documento bajo los términos de la sección 4. Reemplazar las Secciones Invariantes con traducciones requiere permiso especial de los propietarios de los derechos de reproducción, pero usted puede incluir traducciones de algunas o todas las Secciones Invariantes además de las versiones originales de las Secciones Invariantes. Puede incluir una traducción de esta Licencia siempre que incluya también la versión original en ingles de esta Licencia. En caso de un desacuerdo entre la traducción y la versión original en Inglés de esta Licencia, la versión original en Inglés prevalecerá. Usted no puede copiar, modificar, sublicenciar, o distribuir el Documento excepto como lo permite expresamente esta Licencia. Cualquier otro intento de copia, modificación, sublicenciamiento o distribución del Documento es nulo, y terminarán automáticamente sus derechos bajo esta Licencia. Sin embargo, los terceros que hayan recibido copias, o derechos, de su parte bajo esta Licencia no tendrán por terminadas sus licencias siempre que tales terceros permenezcan en total conformidad. La Free Software Foundation puede publicar nuevas y revisadas versiones de la GNU Free Documentation License de tiempo en tiempo. Tales versiones nuevas serán similares en espíritu a la presente versión, pero pueden diferir en detalles para solucionar problemas o intereses. Vea http://www.gnu.org/copyleft/. Cada versión de la Licencia tiene un número de versión que la distingue. Si el Documento especifica que una versión numerada particularmente de esta licencia o "cualquier versión posterior" se aplica a este, tiene la opción de seguir los términos y condiciones de esa versión especificada o de cualquiera versión posterior que hubiera sido publicada (no como un borrador) por la Free Software Foundation. Si el Documento no especifica un número de versión de esta Licencia, puede escoger cualquier versión que haya sido publicada(no como un borrador) por la Free Software Foundation.